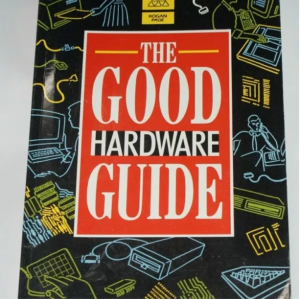 This the second part of my contributions to the Good Hardware Guide published in 1991. The fact that this list of laptop PCs is much shorter than the desktop ones is probably significant. Laptops were still ruinously expensive in 1991 and, from a performance point of view, still significantly compromised when compared to their desktop brethren. A true business machine available in two versions – the Sport, based on the 12MHz 286 chip, and the Sport SX using a 16MHz 386sx. The latter provides zero wait state operation. Removable NiCad battery gives around three hours of use, depending on amount of disk use. User-programmable auto shut- down of the hard disk and display provided to save battery power. An AC power adapter is supplied. The 85 keys include 12 AT-compatible function keys. Keyboard can be tilted and completely detached from the main box. An external, 102-key AT keyboard can be plugged in. Expansion capability is a single proprietary for a modem. Display is standard VGA using a 10- inch backlit LCD with a 0.27mm dot pitch. Supplies 16-level grey scale and support for EGA and CGA modes. Display has over 20 positions. Output provided to drive a conventional VGA colour monitor. All sockets have covers to protect from damage and dirt. Basic memory of 2Mb is expandable to 5Mb of fast memory on the motherboard. The standard 40Mb hard disk is a 3.5-inch, 19ms device. A 3.5-inch, 1.44Mb floppy disk drive is also standard. Optional extras include an 80387sx math coprocessor, car cigarette lighter adapter, external 2.25-inch floppy disk drive, travel bag and pocket modem. The LTE was among the first in the full-function, MS-Dos- compatible notebook PC market. Closer in design to a conventional laptop than a pocket PC, but still very light and small (A4 size). The entry-level machine in the range, the LTE, is an XT equivalent, driving its 80C86 processor at 9.54MHz. Base model has a single 1.44Mb 3.5 inch floppy disk drive. An optional 20Mb hard disk is available. Standard 640K memory can be expanded to 1Mb using an optional memory board. Keyboard has 80-keys, some with extra functions to simulate the now-standard 101/102-key extended version. Display is a CGA-compatible, backlit supertwist LCD. This gives 640 x 200 pixel resolution and four grey scales. Claimed working life for the rechargeable NiCad battery is 3.5 hours. Battery is the clip-in type making it possible to carry and rapidly fit a spare – useful on long journeys. Screen backlighting automatically turns off after a period of inactivity to save battery life. Other options include: an external storage module providing a 5.25 inch, 360K or 1.2Mb floppy disk drive, or a 60Mb tape streamer; an internal Hayes-compatible 2400 baud modem with MNP error correction; internal network card; car cigarette lighter adapter; fast battery charger and AC adapter. One of the first machines to cram decent processing power into an A4 notebook-size case. The 12 MHz 80286 processor can be supported with an optional 80287 maths co-processor. The standard 640K memory can be expanded to 2.6Mb. Basic model is floppy-only. Hard disk options are 20Mb and 40Mb. The 3.5 inch 1.44Mb floppy drive comes as standard and is mounted – unusually – at the front of the machine. Two proprietary expansion slots are provided – one can be used for devices such as Compaq’s own 2400 baud internal modem or asynchronous communications card, the other for memory expansion. Extensive 80-key keyboard provided, with electronic ‘click’ to make up for short key travel. The backlit, supertwist LCD display is CGA compatible with a 640 x 200 pixel resolution. A switch is provided to select inverse video. An external video port is provided for driving a conventional monitor. Serial, paraller and external floppy disk ports are also provided. Standby mode shuts down the machine, turning off the hard disk, when not used for a while, preserving memory contents and saving battery life. In normal operations, the clip-in battery lasts three to four hours. Recharging using the AC adapter takes 8- 10 hours. Options include a separate numeric keypad, car cigarette lighter adapter and fast (1.5 hour) battery charger. An A4-size notebook PC with the power of a desktop machine. The on-motherboard 20 MHz 386sx processor is supported by a cache memory controller using 4K of high-speed static RAM. Socket available for optional 80387sx maths co-processor chip. The nine-inch LCD VGA display, with a proper 1:1 aspect ration, is edge-lit and provides 640 x 480 resolution with 16 grey scales. Output available to drive a standard colour VGA monitor. Hard disk options are 30Mb (Model 30) and 60Mb (Model 60) each with <19ms average access time. Both models come with the 1.44Mb 3.5-inch floppy disk drive. Standard 2Mb of memory is expandable to 10Mb using 1Mb and 4Mb memory cards. Optional internal 2400 baud modem with MNP error correction available. AC power supply adapter is used to recharge batteries as well as run machine. Includes automatic switching for 100V and 240V mains supplies. Optional Desktop Expansion Base turns the LTE 386s/20 into a desktop machine. PC plugs into the box which provides standard monitor output, socket for a full-size keyboard, option of additional storage device (eg, 5.25 inch disk drive or tape drive) and two full-size expansion slots for items such as network cards. Optional expansion options include numeric keypad, battery charger, car cigarette lighter adapter, enhanced keyboard and CD-Rom adapter. All the power of many corporate desktop machines, with a 20MHz 386sx processor, in a portable box. Deep main unit has disk drives at the front of the box underneath a detachable keyboard. Folding lid contains the screen. Comes in two versions each of which is equipped with a 3.5-inch floppy disk drive: Model 60 has a 60Mb hard disk and the Model 120 a 120Mb version. Both hard disks have <19ms average access times. NiCad battery pack gives around three hours of operation, and recharges automatically when the supplied AC adapter is used. Low battery power indicator provided. Display is 10-inch backlit LCD giving VGA resolution with eight-level grey scales. Output provided for conventional VGA colour monitors. Other graphics adapters and video memory boards available. A 4K memory cache is included. The 2Mb memory can be expanded using 1Mb, 2Mb and 4Mb SIMMs to a maximum of 14Mb. Socket provided for 387sx math coprocessor. Options include: a 2400 baud modem; desktop expansion unit with two AT expansion slots; external 360K and 1.2Mb 5.25-inch floppy disk drives and 80Mb and 120Mb tape streamers; external numeric keypad; and an adapter for third party CD-Rom drives. An impressively full-featured laptop that packs a lot into a comparatively compact box. This is the replacement for the 316sl, which was CompuAdd’s first entry in the laptop market. The main difference being that the machine now uses a 20MHz, rather than 16MHz 386sx processor. The 2Mb of zero wait state memory is expandable, using 1Mb SIMMs to 6Mb on the motherboard. A LIM 4 compatible memory manager is included. The display is a sidelit, VGA-compatible supertwist LCD, giving a 640 x 480 resolution and 16 grey scales. At 8 x 6 inches it’s a reasonable size and has a normal aspect ratio. Output is provided for a conventional monitor. A full-size keyboard can also be plugged in and the system supports an external 5.25 inch disk drive. The battery is removable, allowing spares to be carried. Normal battery life is up to 1.5 hours, but software supplied with the machines slows the processor to 8MHz and dims the LCD backlighting to half the power consumption. An internal proprietary slot is provided for a modem or fax modem. A maths co-processor slot is also included. Supplied with a host of extra goodies. These include: Windows 3 and a Logitech Mouse – both very unusual on a laptop; Laplink file transfer software in ROM; PC Fullback for backing-up the hard disk; DOS Help (an online Dos manual); a utilities disk and MS-Dos 4.01. A power-user’s laptop. The 386sx processor is run at 20MHz but can be slowed to 8MHz. Standard hard disk is a 40Mb, 25ms IDE unit featuring auto-retract to protect the heads during transport. Mains power supply can be unplugged and replaced with a standard battery unit that provides three hours of operation, or an extended battery, attached to the back of the machine, giving five hours. System software includes disk caching, expanded memory driver (LIM EMS 4 compatible), a RAM disk driver and password security built into the ROM. The standard 1Mb of DRAM memory is expandable to 5Mb on the motherboard. Expansion options include proprietary slots for a modem and high-speed memory. A separate docking station is available that permits use of standard expansion devices, including memory cards allowing a maximum of 9Mb of RAM. The LCD screen uses CTN technology with backlighting to give a paper-white, VGA-resolution display with 16-level grey scale emulating colours. Screen can be removed and a VGA output is providing for use with standard monitors. Screen backlighting and hard disk can be turned off to preserve battery life. Keyboard has 83 keys, including 12 AT-style function keys. Optional 8-key external numeric keypad is available. Though slightly larger than most notebook PCs – an inch or so larger in width and length than A4 – it’s heading in that direction. The blue-on-green, CGA-compatible, supertwist LCD display is surprisingly large considering the size of the machine. Aspect ratio is slightly squashed, but still reasonable. Screen is backlit, but this can be turned off to conserve battery life. Display can also be set to turn off completely if machine is inactive for between 1 and 64 minutes. Resolution is 640 x 200 pixels. MS-Dos 3.3 is supplied in ROM, which shortens start-up time and makes less demands on the single 3.5 inch 720K floppy disk drive. Software provided to use part of memory as a RAM disk. The removable lead-acid battery pack provides one hour of use with the backlighting on, and up to four hours with it switched off. A low battery light is provided to warn of imminent demise and an AC adaper is supplied. Standard 640K memory can be upgraded to 1.6Mb using an optional, proprietary 1Mb RAM card. Optional extras include: spare battery; battery charger; and 12V car adapter. An internal modem is also available, which fits into a proprietary expansion slot. A truly diminutive machine, marginally smaller than A4 and only 28mm thick, but offers a full XT specification including a built-in disk drive. The 10MHz 80C86 processor can be slowed by software to 4.77MHz. The memory is fixed at 640K, but this is the normal Dos limit and should be enough for all XT-type applications. MS-Dos is supplied in firmware (ROM 2.0 version, compatible with MS-Dos 3.21) making start-up faster. The 80- key keyboard includes 12 function keys and fully emulates a 102-key AT keyboard. Screen is a CGA-compatible high-contrast, dark blue LCD panel giving a full 80 x 25 character display. Contrast is adjustable from the keyboard, there is a reverse video option and when displaying CGA graphics the screen can be switched between two-colour and grey scale modes. Also supports MDA and Hercules standards and output is provided for conventional colour and monochrome monitors. Uses automatic standby mode, switching off screen, when machine is left unused for five minutes. Also offers a user-selected sleep mode, switching off the machine but preserving RAM contents, so that machine does not have to be rebooted each time it is switched on. Battery pack is replaceable, so spares can be carried. Supplied with Microsoft Works integrated software package providing word processor, database, spreadsheet and communications programs. A roughly A4-size notebook machine that packs a lot into its small case. Has a 3.5-inch, 1.44Mb floppy disk drive under the keyboard. Also has a 2.5-inch hard disk drive with 23ms access time – a 20Mb model on the PCL 203 and a 40Mb on the PCL 204. Uses an RLL controller and features autoparking to protect the disk during transit. Standby mode in which the screen backlighting is switched off and hard disk stopped occurs after five minutes of inactivity or on command from keyboard. Sleep mode, where machine is powered down but RAM contents preserved, is also selectable from the keyboard. The 1Mb of memory can be expanded to 8Mb on the motherboard. Display is a high-contrast LCD with CCFT backlighting. Conforms to VGA standard with reverse video display and supporting 16-level grey scale. Also supports EGA, CGA, MDA and Hercules modes. Has adjustable backlight brightness and contrast. Screen is tiltable from 0 to 130 degrees. Output provided for external mono or colour VGA monitor. The 80-key keyboard includes 12 AT-compatible function keys and is designed to emulate a full 102-key enhanced model. Package include Microsoft Works integrated software suite providing word processor, database, spreadsheet and communications programs. Also includes FastLynx file transfer program for exchanging files with a desktop machine. A good general-purpose laptop machine. The 12MHz 286 processor can be downrated to 6MHz if necessary, selectable from the keyboard or through the setup software. Speed indicated by colour of power LED. A socket is provided for an 80287 math coprocessor. Battery provides 2-3 hours of use, depending on disk accesses and use of power-saving features. These include automatic screen blanking, and the screen can be switched off manually from the keyboard. A low battery warning light is provided. AC adapter supplied as standard is autosensing and works with all voltages. Standard 1Mb memory is expandable to 5Mb in 2Mb steps. Some memory can be used for Bios ROM shadowing to improve performance. The basic model has a 20Mb IDE hard disk, as well as a 3.5-inch floppy drive, but this can be upgraded to 40Mb. There is an interface for an external 5.25-inch floppy disk drive. The EGA compatible display provides 16 level grey scale. A black/white reversing switch is provided. There is a port for an external EGA monitor. Expansion is provided by a single 16-bit AT slot. All ports are provided direct from the motherboard. Keyboard has 82 keys and a sockets are provided for an external numeric keypad and full-size AT-compatible keyboard. A highly portable machine, very much a rival to the Cambridge Computer Z88 but more rigidly targeted as a word processor. Based on the NEC equivalent of the Z80 processor. Has a proper 62-piece moving-key keyboard. Slot provided for RAM card to boost memory. Memory is arranged in banks of 32K. Basic machine has one 32K bank. A second can be added on a card. A cassette port is provided to use standard music cassette as mass storage. Uses 256K Rom to hold software including a 100,000-word spell checker and 200,000-word thesaurus. Word processor includes all basic functions such as block move and delete and automatic reformatting of paragraphs. Printer and serial ports provided – the latter useful for linking to modems and desktop PCs for file transfer. A portable, external floppy disk drive is an option. The LCD screen is not backlit, to save battery power, but is large with easy to read letters. Provides eight lines of 80 characters. Runs on four AA alkaline batteries giving a claimed operating life of 12 hours. NiCad batteries available. Software also includes a simple diary and phone book and autodialling if the machine is connected to a suitable modem.